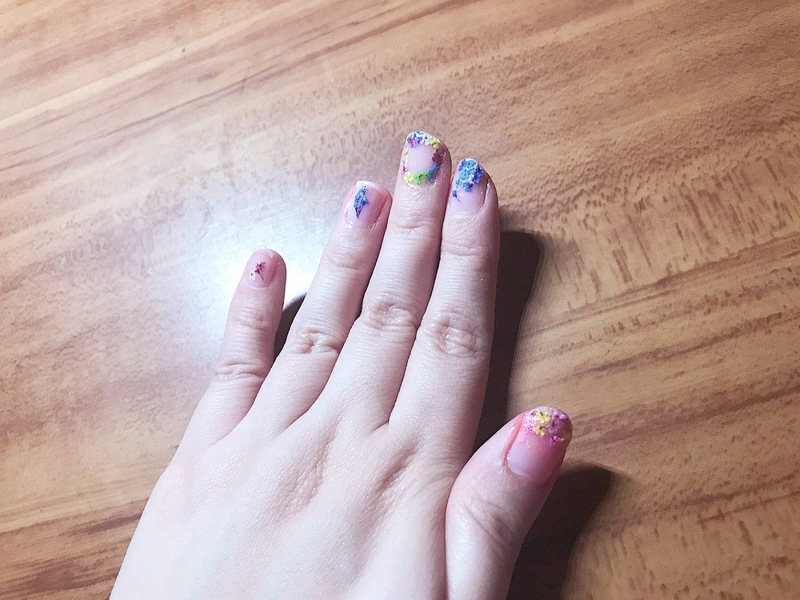 (gawd the lighting is so awful ;A;) I did these nails and I'm actually real proud of it, lol I have really shaky hands so this was a bit of a challenge, but if you have steady hands, it will go smoothly! 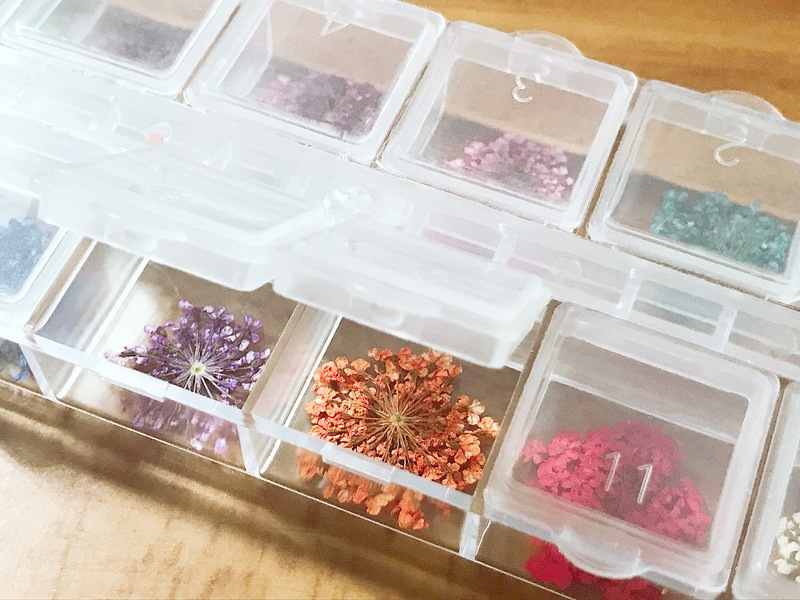 WHERE TO GET THE FLOWERS -I ordered this set of pressed/dried flowers off of Amazon! You can also purchase them here! 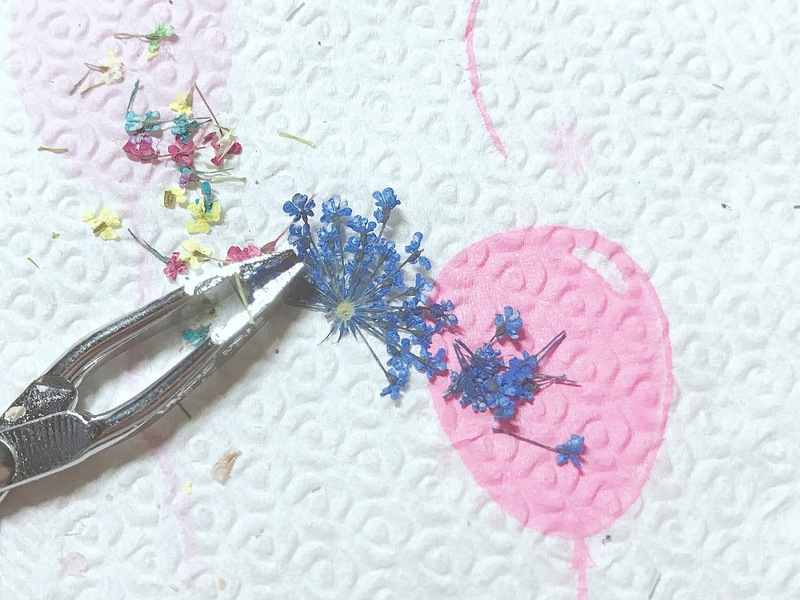 Once you've chosen your flowers, lay them out flat in the middle or end part of a thick, heavy magazine, leave them for a few days to make sure they're dry before you put them on your nails! I went for a random look, diverse, no color coding, so any color of flower did a great job for me, I didn't stick to a them for a spontaneous look, but of course feel free to do whatever you like! 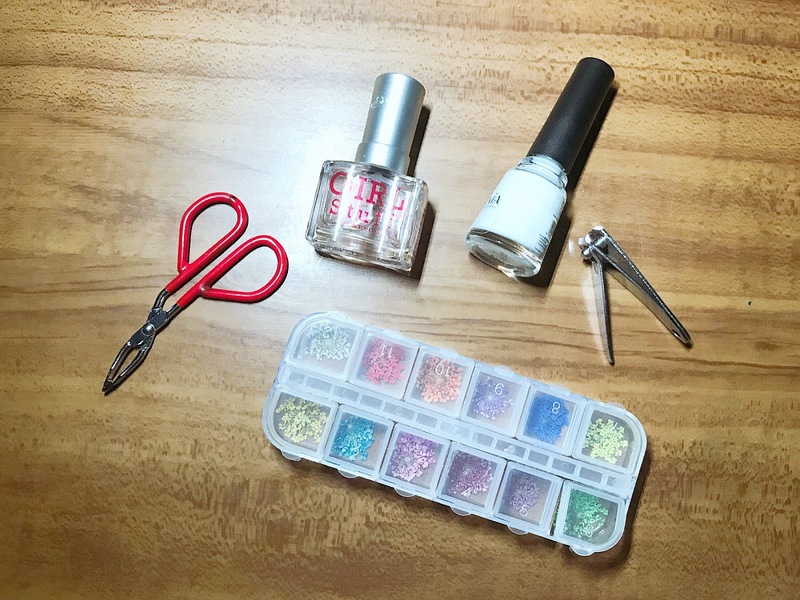 This is where you make sure that the pieces are small, fit the style you want, and of course fits your nails! Lay the paper towel because they're gonna be easier to grab using the clipper or your fingers, whichever works best for your of course, you can also opt to use scissors to cut the stems out, but I just used my fingers to do it, I'll be sharing an important tip later on to carefully remove the stems and for me, it was easier! 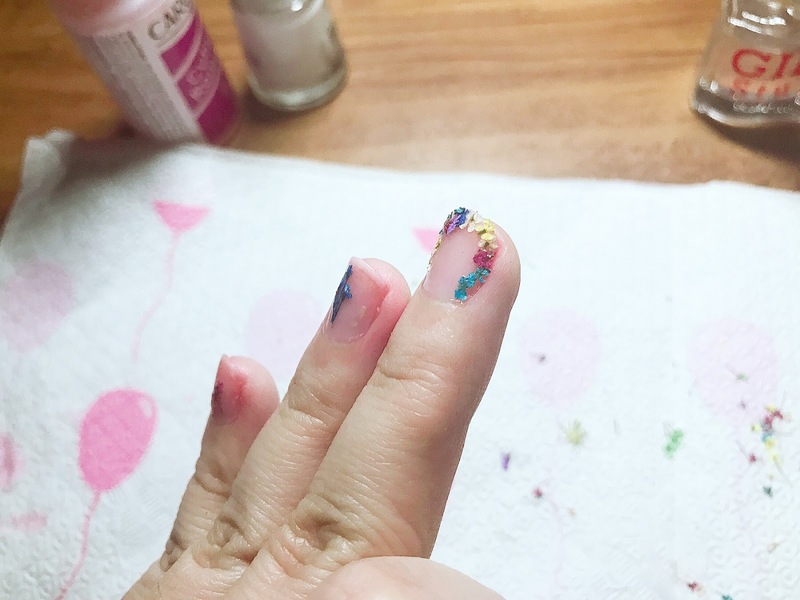 This would actually be STEP ONE if you chose to use a colored nail polish as your base/background for the flowers, but in my case, I just used a clear polish (since I'm no good at applying colored polish). 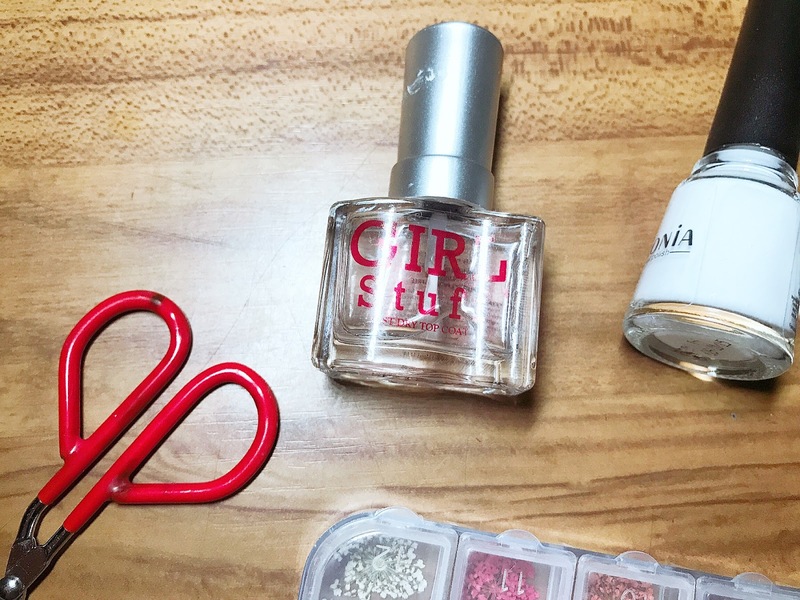 I just added pink tint using cuticle remover and coated my nails with a clear polish! they're going to be your glue! 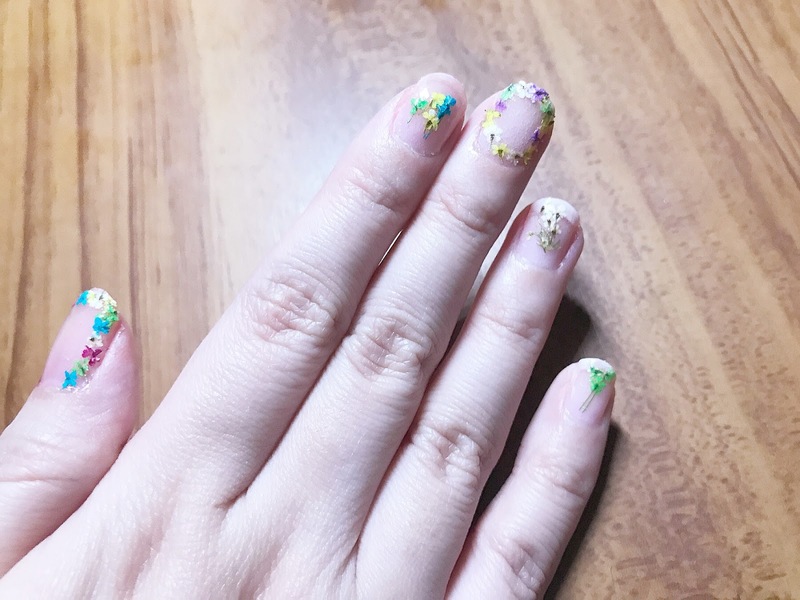 While the clear polish is still wet, I added the flowers to my desired style one by one using the clipper! 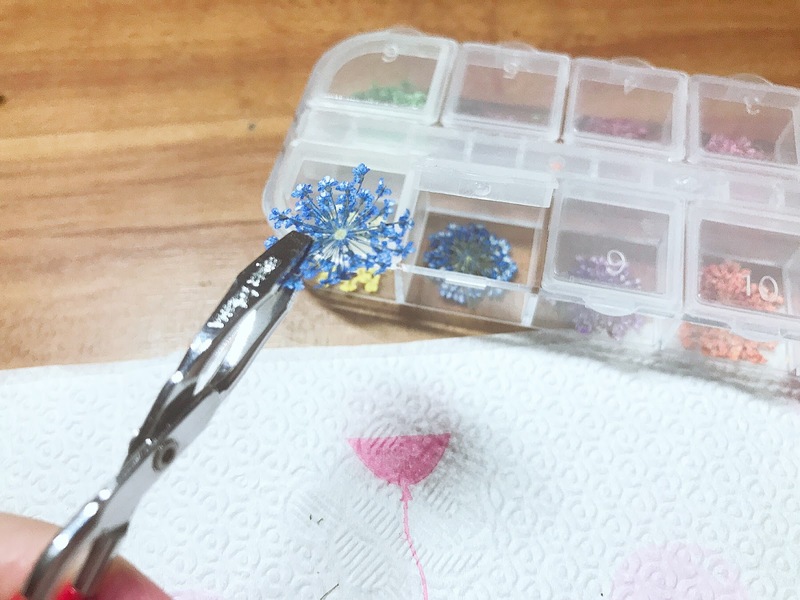 after having them stick to the nail, coat another layer of clear polish to lock the flowers in or at least coat until you feel comfortable that they're secured. 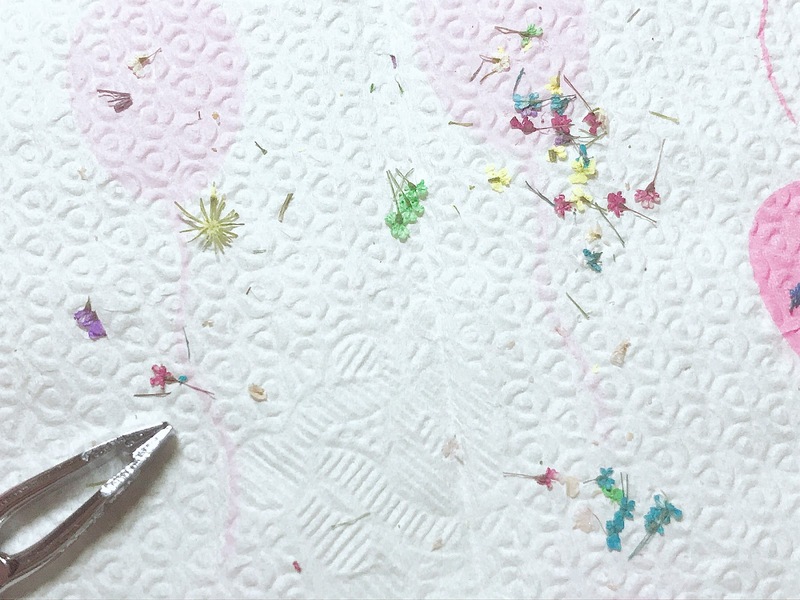 TIP: Use the nail cutter to cut the stems once they're on your nails! 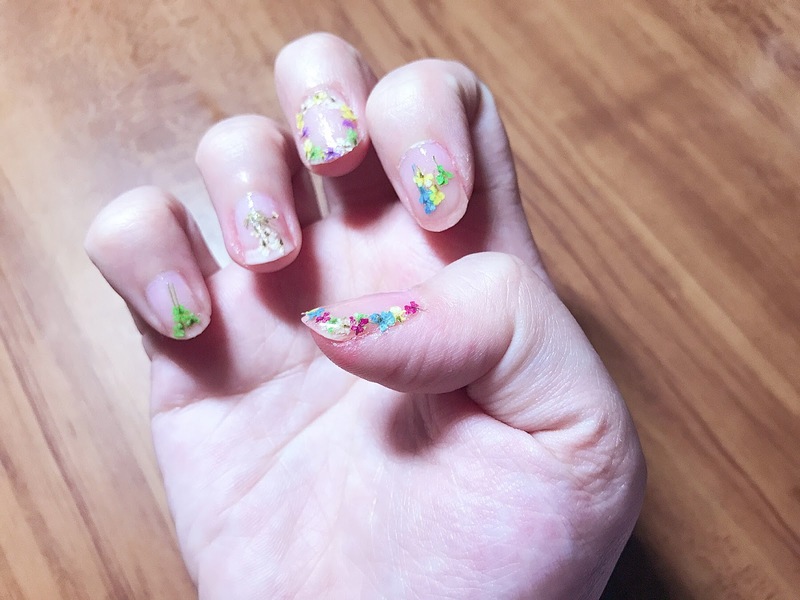 In this photo, you can see that I made like a flower crown style, but still had the stems popping out, so what you do, is you take a nail cutter, cut them carefully like you're cutting your nails, but make sure you don't get your real nails if you want them longer for this nail art look. I didn't really follow any patter at all! 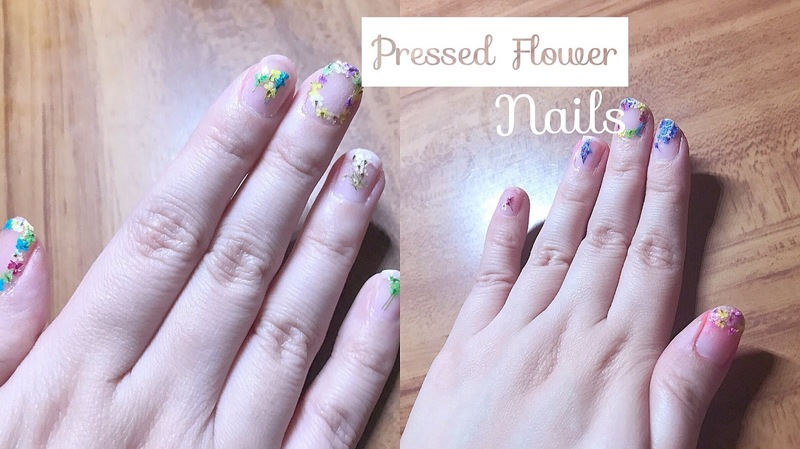 I just loved the flower crown look on my nails, so mostly I did used that style more than once, but it's up to your how you want to showcase your nails with this lovely style! And that's it for this DIY/Tutorial! It's simple and pretty self explanatory but I hope you enjoyed it! 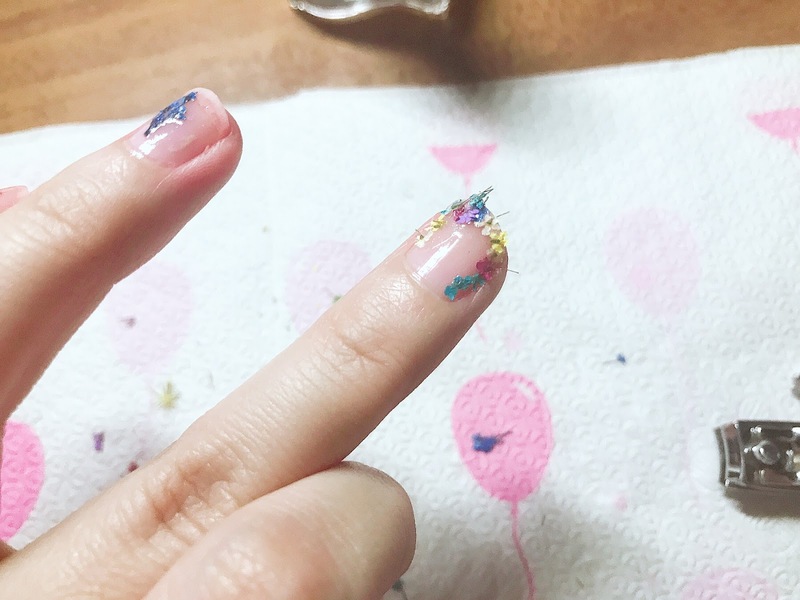 This nail art is so cute and pretty. I just showed it to my ten years old daughter and she got so excited about it. 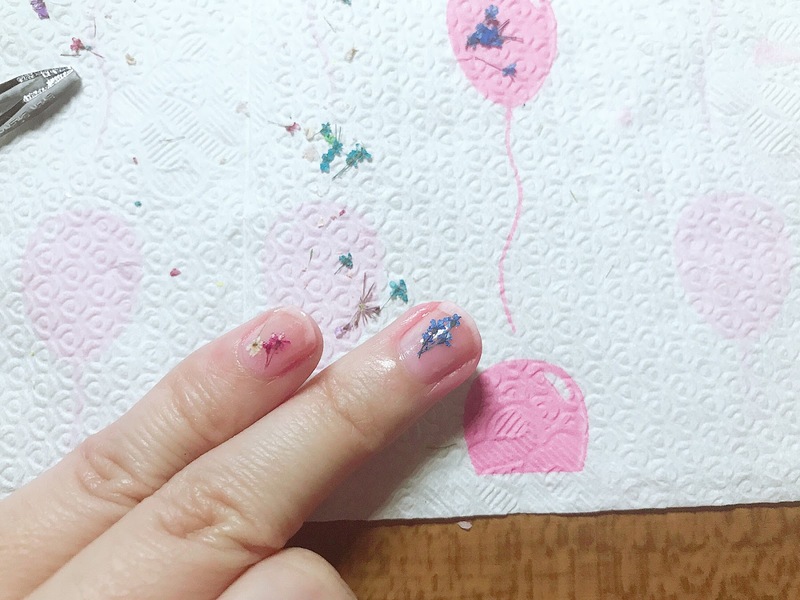 I will do this on her nails for her birthday party and i am sure she will love it.